As Kumar and Badrudin sat in the crowded compartment of the India Railway train, Kumar asked Bardrudin how he had arrived at this epiphany, which had inspired him to build this school for boys. Badrudin explained to Kumar that when we had left Mr. Warnakulasuriya’s tailor shop, he had gone to have a meeting with an arms smuggler, to purchase a large shipment of weapons for a blood feud that Badrudin had been requested to fuel with weapons by a powerful warlord in the Khyber. On his way to the business meeting to purchase the arms shipment, Badrudin had passed by the Grand Trunk Road whereupon he beheld a sight that simply took his breath away and filled him with such spiritual import and such a profound state of grace that he trembled with tears of remorse. 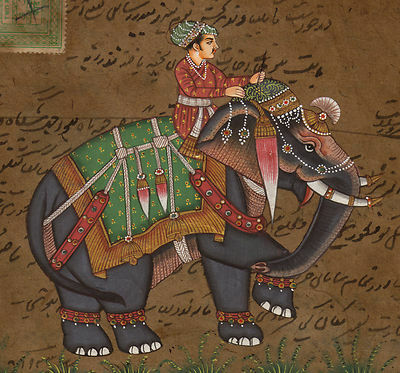 Kumar asked Badrudin what was the sight that he witnessed and Badrudin explained that it was the sight of the young man Raj, and Raj’s beloved friend, Lakaji the Elephant Elder, walking gracefully and peacefully along the Grand Trunk Road. As Badrudin stood there weeping, and as the cobwebs of his mind began to crumble and clear, and as this new-found clarity permeated through his entire being, the answer to his renewal and his reformation became brilliantly obvious to Badrudin: Badrudin needed to construct a school for boys in the Khyber region so that the boys would grow up reading rather than fighting, learning rather than feuding, understanding rather than warring, constructing rather than destroying. Thus it was that young Raj and his beloved friend, Lakaji the Elephant Elder, completed Day Two of the Great Trek, by bestowing bountiful blessings along the Grand Trunk Road, and planting new seeds in old hearts, whereby the bountiful blossoms where harvested in fruitage forms unforeseen to them, forms such as a school in the Khyber, governed by Headmaster Khaldun, and which invigorated and refreshed the souls of those they encountered upon their journey, and brought new visions and new vistas. Click here for Chapter Seven, Divide and Rule.